Researchers from the University of Southampton today released a smartphone app designed to help in the search for a rare insect found only in the New Forest National Park. The New Forest Cicada (Cicadetta montana) is the only cicada native to the UK. During May to July it sings with a very characteristic high-pitched song, which is at the limits of human hearing and is particularly difficult for most adults to hear. Sightings of the cicada within the New Forest date back to 1812, but the last unconfirmed sighting was in 2000. However, it's quite likely that colonies remain undiscovered in less visited parts of the forest. The search for the cicada will be launched at the New Forest National Park BioBlitz, which is being organised by the New Forest National Park Authority on Friday 7 and Saturday 8 June 2013. The wildlife monitoring marathon will be held at Roydon Woods Nature Reserve near Brockenhurst. From 4pm on 7 June until 4pm on 8 June, nature lovers can join experts on bug hunts and river surveys, as well as take part in pond dipping, fungi forays and an early morning birdsong walk. Dr Alex Rogers, a Reader in the Agents, Interaction and Complexity Research Group in Electronics and Computer Science at the University of Southampton, who leads the work of the New Forest Cicada Project says: “Modern smartphones have extremely sensitive microphones and enough computing power to automatically detect and recognise the song of the New Forest cicada. The app records a 30 second survey using the smartphone’s microphone and looks for the particular frequencies and sound patterns that characterise the cicada’s song. 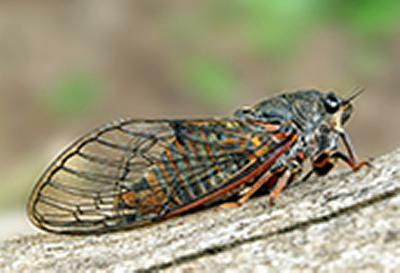 If it thinks a cicada might have been heard, it prompts the user to upload the recording, so that it can be analysed in more detail. “The cicada likes sunny south-facing clearings, and will only sing on a warm day when there is little wind, so we’ll be encouraging people to use the app when conditions are best. We’ll be able to use the reports from the app to compile a map of areas that have already been searched, in order to focus the efforts of the professional entomologists who are also looking for the cicada,” says Davide Zilli, the PhD student who has developed the app.